The award-winning El Pinto Restaurant in Albuquerque, NM, has been in business since 1962. Jack and Connie Thomas established the one-room restaurant, which housed the kitchen and 10 tables. Today, the restaurant is now one of the largest in the nation with over 1,000 seats, and includes an 8,000-square-foot manufacturing facility that produces 25,000 jars of salsa or chile products a shift for retail sale in grocery stores across the country. 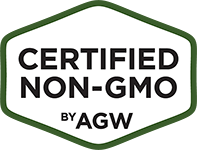 El Pinto Restaurant is also the only restaurant in the nation to have a Certified Animal Welfare Approved by A Greener World (AGW) laying hen program on restaurant property—and the largest restaurant in North America to serve Certified Animal Welfare Approved by AGW eggs. The restaurant’s success is in large part due to the efforts of the Thomas’ son’s, twin brothers John and Jim. In 1994, John and Jim purchased the restaurant from their parents and started their expansion project. By 2000, they started bottling the salsas and sauces inspired by their grandmother’s recipes. Today, their products are nationally recognized and sold throughout the country. 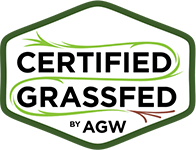 They opened the “Hen Hotel,” as it’s nicknamed at the restaurant, raising over 200 Certified Animal Welfare Approved by AGW laying hens to supply the restaurant with fresh, tasty and nutritious eggs. The hens have continuous access to range, where they can perform natural behaviors like running, dust-bathing, pecking and scratching for grubs and seeds. “Our passion is clean and nutritious food for all of our guests,” explains Jim. “Healthy, happy hens produce eggs of amazing nutritional value and outstanding taste.” In fact, eggs from hens raised outdoors on pasture and range contain three times as much vitamin E, seven times more beta-carotene, and twice the omega-3 fatty acids as industrial-raised eggs. The laying hens are fed a high protein organic feed, along with some extras from the kitchen: wheatgrass, jalapeños and other nutritious kitchen scraps. The eggs are gathered daily, before being thoroughly washed and graded according to USDA requirements and hand-delivered to the kitchen staff. In addition to the Hen Hotel, there is also a greenhouse and vermiculture farm on restaurant property. Over 200,000 worms break down organic food scraps from the restaurant creating worm leachate which is mixed with effective microorganisms and used as a natural fertilizer on the chile fields and within the greenhouse. 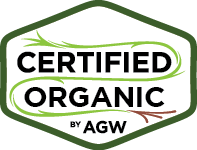 This provides herbicide free, pesticide free, and fungicide free growing of chile, lettuce, tomatoes and herbs used within the restaurant. 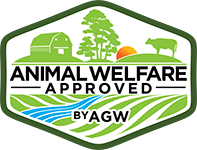 Certified Animal Welfare Approved by AGW eggs from the El Pinto Restaurant Farm, located behind the restaurant, are served daily at the restaurant and featured extensively on the Sunday Brunch menu. For more information visit elpinto.com.